The world faces the greatest movement of people since World War II, according to the United Nations High Commissioner for Refugees (UNHCR). Turkey has become a major refugee-hosting country owing to an unpredicted influx of Syrian refugees forced to flee from the civil war (UNHCR, 2014). Syrian refugees are still considered as ‘guests’ (a word chosen over ‘refugees’) in Turkey, but their displacement will not be resolved in the near future and will continue to be defined as protracted and unresolved. According to the UNHCR, 4 603 363 registered refugees have been forced to leave Syria, with most moving to Turkey (2 503 549), Lebanon (1 069 111) and Jordan (635 324) since 2011 (UNHCR, 2016). When the civil war began in 2011, the Turkish government declared an open-door policy and welcomed the Syrian refugees. It predicted that the conflict would end swiftly and allow Syrian ‘guests’ to return home, precluding any need to plan for their long-term or permanent stay in Turkey (İçduygu, 2015). Five years later, more than two million refugees have crossed the Turkish border and thousands are risking their lives attempting to travel to Europe. When Syrian refugees began arriving in Turkey, the Turkish government set up emergency camps which were increased to 25 camps providing shelters, education, health and other services. Although the camps are strongly praised by the international community, they house only 280 000 refugees while the majority have chosen, and to some extent were forced, to spread over the country in the hope of finding decent living and working conditions. However this posed new challenges, particularly for women refugees in urban settings. Half of the Syrian refugee community are women and children, who are widely exposed to exploitation and sexual harassment. There is growing concern about underage Syrian girls being forced into marriage, as well as fears that a recent Constitutional Court ruling decriminalising religious weddings without civil marriage would lead to a spread of polygamy involving Syrian women and girls (Kirişçi and Ferris, 2015). The strain of hosting the refugees has gradually become apparent. Turkish communities have become increasingly critical, particularly with regard to competition over jobs, rising rents, cultural differences, and pressure on municipal services, health services and infrastructure. 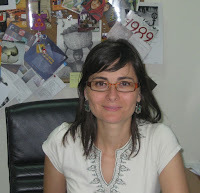 Surveys show contradictory feelings and attitudes towards Syrian refugees: Turkish communities recognise the humanitarian side of the crisis and have been generous to refugees, owing to religious fellowship and ethnic similarities, but they are also deeply concerned about the economic and social consequences of the protracted presence of refugees in their communities (Erdoğan, 2014). Syrians do not have refugee status because Turkey maintains the ‘geographical limitation' to the 1951 Geneva Convention Relating to the Status of Refugees, which restricts that status to individuals from European countries. Therefore, to respond to the crisis and to meet the emergency protection needs arising from the mass influx of Syrian refugees, the Turkish government adopted the Temporary Protection Regulation in October 2014. The regulation defines temporary protection as ‘a protection status granted to foreigners, who were forced to leave their country, cannot return to the country they left, arrived at or crossed our borders in masses or individually during a period of mass influx to seek emergency and temporary protection, and whose international protection requests cannot be taken under individual assessment’. The Temporary Protection Regulation also allows Syrian refugees to get work permits under certain conditions, which is considered a very positive step by the international community. The regulation was welcomed by trade unions and employers’ organisations, with some reservations relating to the protection of local labour markets and the local labour force. Although the regulation on work permits has only recently been adopted by the Government, Syrian refugees are already in the labour market. They are mainly concentrated in the informal sector - where core labour and social rights are not respected - and in seasonal agricultural work, construction, manufacturing, textiles, waste picking and begging. According to the ILO, ‘local level consultations show that wages and fees have dropped to one-fifth of their previous levels, causing the working conditions of the most vulnerable groups from both communities to deteriorate, including children not in school’ (ILO, 2015:7). It was found that 56% of Turkish respondents felt that ‘Syrians take our jobs’ and that between 40% and 100% of those who lost their jobs attributed it to the presence of Syrian refugees and increased competition in the labour market (Orsam 2015). However, the full impact of the Syrian refugees on the labour market has yet to be analysed and there is no reliable data proving these concerns. New regulations on work permits for people under the Temporary Protection regime were adopted on 15 January 2016 by the Council of Ministers. According to these regulations, foreigners may obtain work permits in the provinces where they are permitted to reside (mostly in south-eastern Turkey) six months after registering for ‘temporary protection’, and they cannot be paid less than the minimum wage. In addition, a much-debated article is that foreigners cannot exceed 10% of the number of Turkish citizens employed at work place. Although the impact of the recently adopted regulations remains to be seen, trade unions have an important responsibility to promote and protect the rights of Syrian workers. In response to the Syrian refugee influx, some trade unions raised concerns about the potentially negative impact on the labour market, while some have called for improved living standards and decent work for Syrians. Progressive unions played an active role in the international arena to promote the human rights of Syrian refugees as well as providing humanitarian assistance to the refugees in Turkey. At a local level, many different community based organisations, international NGOs and trade unions have been providing humanitarian assistance and organising local charity initiatives. However, trade unions’ interventions have mainly focussed on influencing government policy and promotion of human rights. As the Syrian refugees are mostly employed informally, it is not yet legally possible to organise them in trade unions. Although the employment of Syrian refugees will be formalised with the recent changes regarding work permits, it will be technically difficult for trade unions to organise them for the time being, owing to legal limitations, uncertainties in the application of work permits, and language barriers. It might be early to expect trade unions to organise Syrian workers, but they can nevertheless play an important role in preventing discriminatory and hostile practices. The unexpected wave of refugees travelling to Europe has drawn the world's attention to the Syrian refugee crisis and made world leaders reconsider how to create an international response to this dramatic humanitarian crisis. While the world and particularly European leaders are still negotiating different ways of responding to the crisis, Syrian refugees continue to move from one city to another and from one country to another seeking safer living conditions and better life opportunities. What is clear is that, even if the political circumstances permitted, Syrian refugees may not be able to return to Syria because the destruction in the country, both in economic and physical terms, is unimaginable (Kirişçi and Ferris, 2015). It is obvious that Syrian refugees are not ‘guests’ any more. Their stay will be much longer than expected and they are already a part of Turkish society. The question is how far they will be integrated into Turkish society. The integration of Syrian refugees can only be realised by progressive public policies and programmes. This is a serious matter which should not, and cannot, be solved solely through the hospitality of the Turkish people and the initiative of Turkish communities. Therefore, there is an urgent need for government to shift from short-term emergency responses to long-term planning and the development of progressive, holistic, inclusive and transparent integration policies for Syrian refugees at both a national and international Level. This article reflects the personal views of the authors and is not an official position of the ILO. Özge Berber Agtaş is currently working at the ILO Office for Turkey. She received her master's degree on Labour Policies and Globalization from Global Labour University (Germany, 2007). 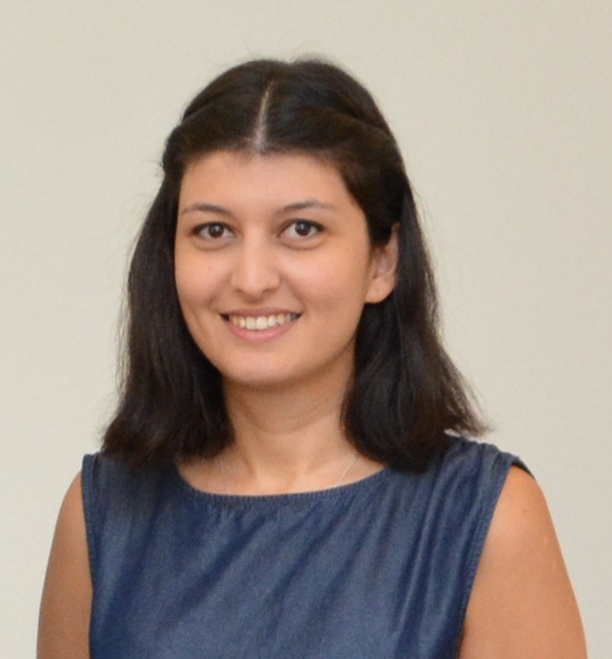 Bilge Pınar Yenigün is currently working at the ILO Office for Turkey. She received her master's degree on Labour Policies and Globalization from Global Labour University (Germany, 2014). Erdoğan, M. (2014) Türkiye’deki Suriyeliler Toplumsal Kabul veUyum Araştırması [Syrians in Turkey: Social Position and Adaptation], Ankara: Hacettepe Üniversitesi Göç ve Siyaset Araştırmaları Merkezi [Hacettepe University Migration and Policy Research Center]. ILO (2015) The ILO Response to the Syrian Refugee Crisis, Geneva: ILO Publication. İçduygu, A. (2015) Syrian Refugees in Turkey: The Long Road Ahead, Washington, DC: Migration Policy Institute. Kirişçi, K. and Ferris, E. (2015) Not Likely to Go Home: Syrian Refugees and the Challenges to Turkey and the International Community, Turkey Project Policy Paper No.7, Center on the United States and Europe at Brookings, Washington, DC: Brookings. Orsam (2015) Effects of the Syrian Refugees on Turkey, Orsam Report No.195, Ankara: Orsam and Tesev Publication. UNHCR (2014) UNHCR Global Trends, Forced Displacement in 2014. UNHCR (2016) Syria Regional Refugee Response: Inter-agency Information Sharing Portal.